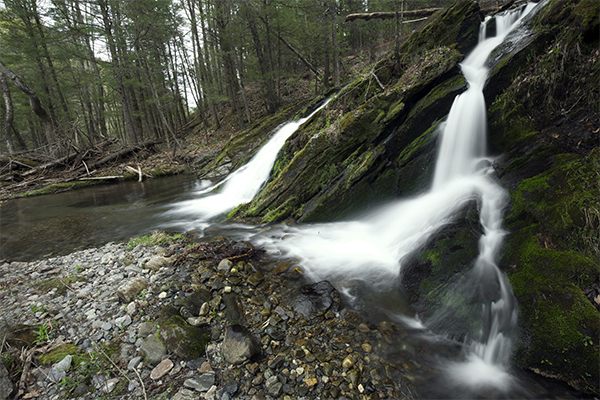 Stafford Brook Cascade is located in one of the quietest, prettiest, and least known pockets of Massachusetts. 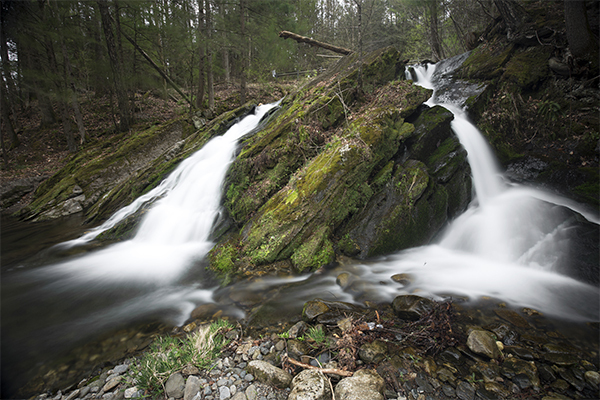 It is a wild and scenic area, and the journey to the falls is as worthwhile as the falls themselves. The scenic drive to the trailhead travels directly parallel to the Green River for a lengthy distance. There are many pullouts along this stretch road if you'd like to splash your feet in the Green River or watch some fly fishermen. 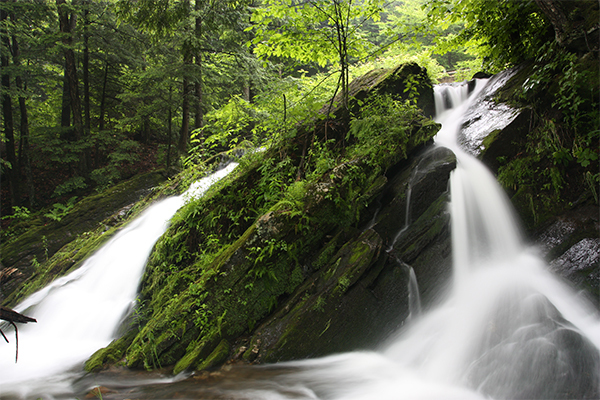 The cascade is located at the terminus of Stafford Brook, only 30 feet from its confluence with the Green River. There is a small pool below the cascade for wading, perhaps 18 or 24 inches deep. In optimal conditions, the falls split in two at the top of the structure and create two equally pretty and attractive horsetails. A small rock beach at the base of the falls adds strong framing elements to photographs. Due to the fact that the falls are not well-known and cannot be seen from the road, privacy is almost a guarantee here. The main falls lie only a few feet downstream of Green River Rd. 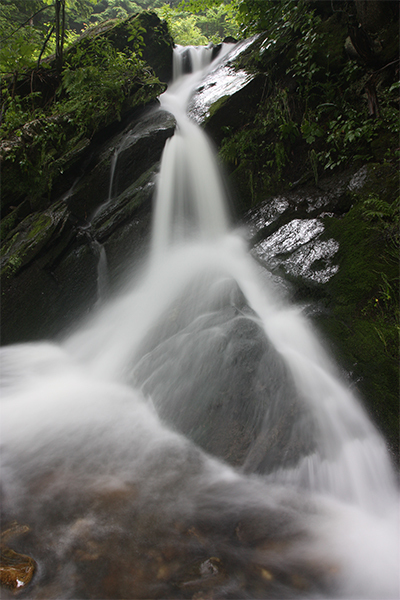 To reach the base of the falls, scramble down a moderately difficult embankment on the south side of the brook (the brook will be on your left). There are no official paths, so please take caution as you descend this steep terrain. 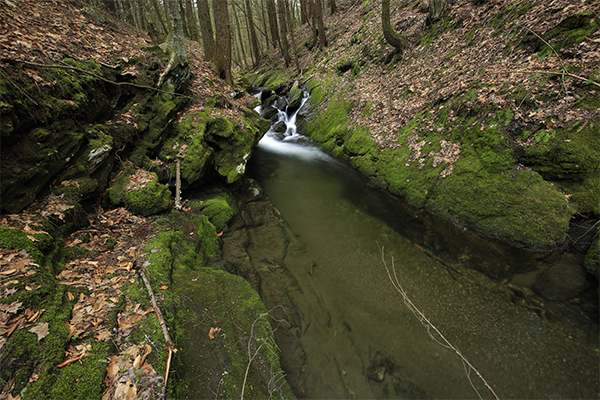 The north side of the brook appears to be just outside the boundary of the wildlife management area, so you will want to stick to the south side of the brook to avoid any chance of trespassing on private property. Once you are at the base of the falls, you are encouraged to wade into and across the brook as many of the finest perspectives of the falls are earned that way. There are additional small falls ranging in height from 3-5 feet within 100 feet upstream of the bridge on Green River Rd. 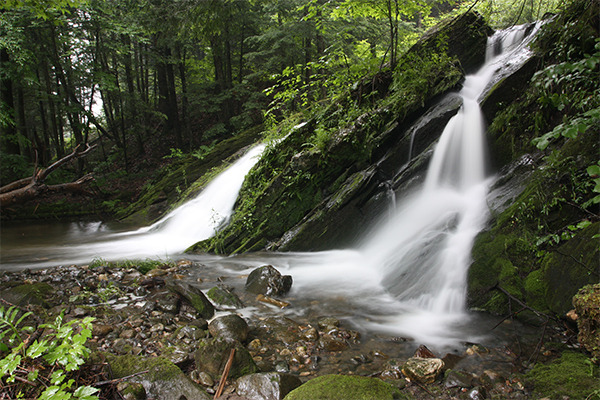 These falls are also part of the wildlife management area and you are welcome to explore them. From I-91 in Greenfield, take exit 26 for MA 2 west. As soon as you get off the exit off-ramp and are placed onto MA 2 west, take a right onto Colrain Rd. There is currently a BJ's Wholesale Club sign here. Follow Colrain Rd north for 2.8 miles and you will reach a fork. Take the right fork onto Green River Rd. Altogether, you will be traveling Green River Rd for 5.3 miles. Start your trip on Green River Rd by driving 0.7 mile and you will reach a stop sign. Take a left to continue on this road, and after 2.2 additional miles (staying straight after 1.1 miles to stay on the road), you will reach a fork. Bear right at the fork and continue north on Green River Rd for another 2.4 miles to a parking area on the left just before crossing a bridge over Stafford Brook. There is only room for one vehicle here.